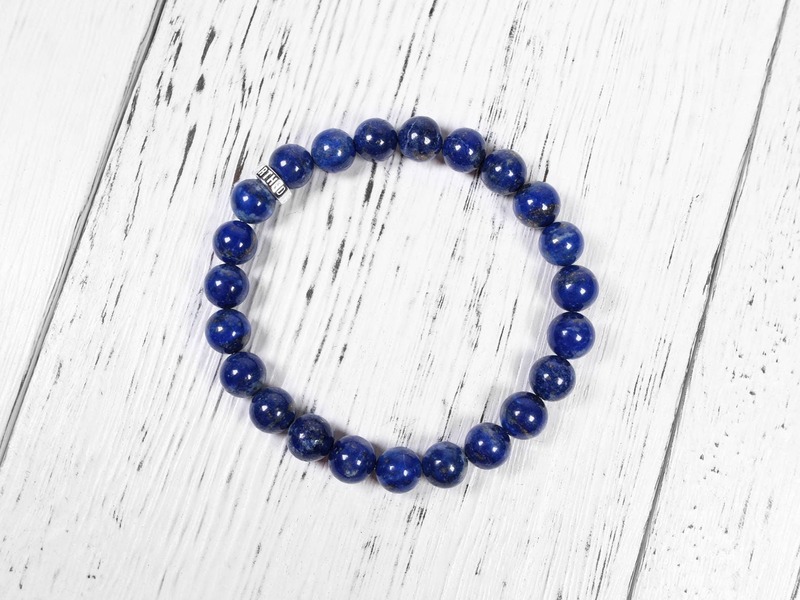 This genuine lapis lazuli bracelet has a rich royal blue color. 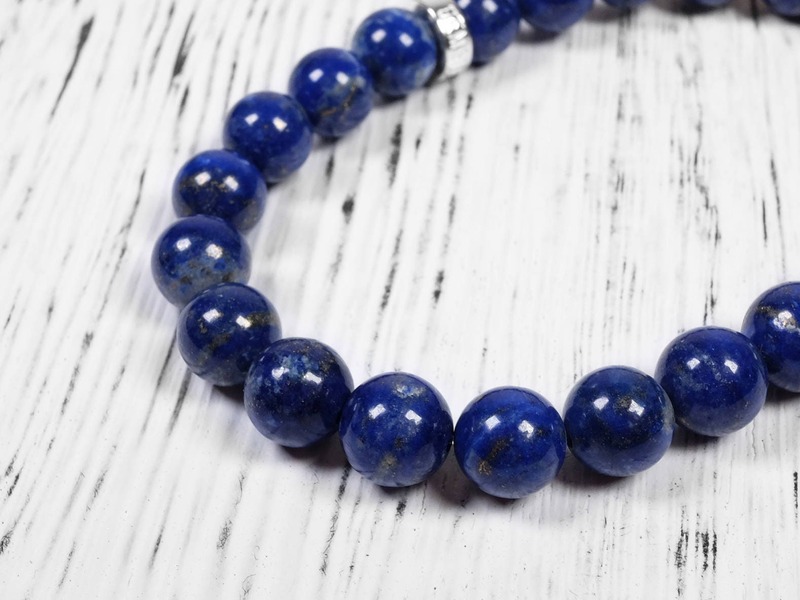 The colors are natural and the stone is not dyed (dyes are common in lapis lazuli). The beads have speckles of golden pyrite on it, which makes the bracelet much more fun to look at. Some amount of white calcite is present. 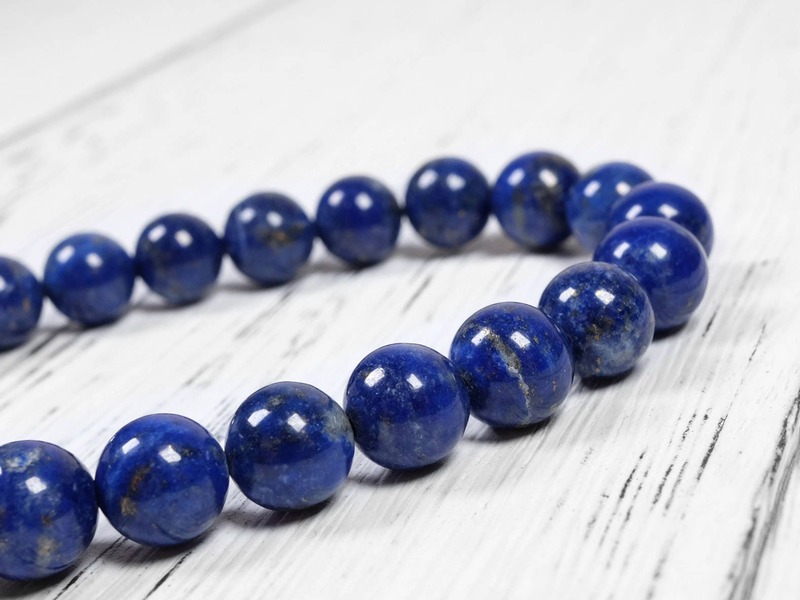 Overall great quality lapis lazuli with rich and consistent colors. 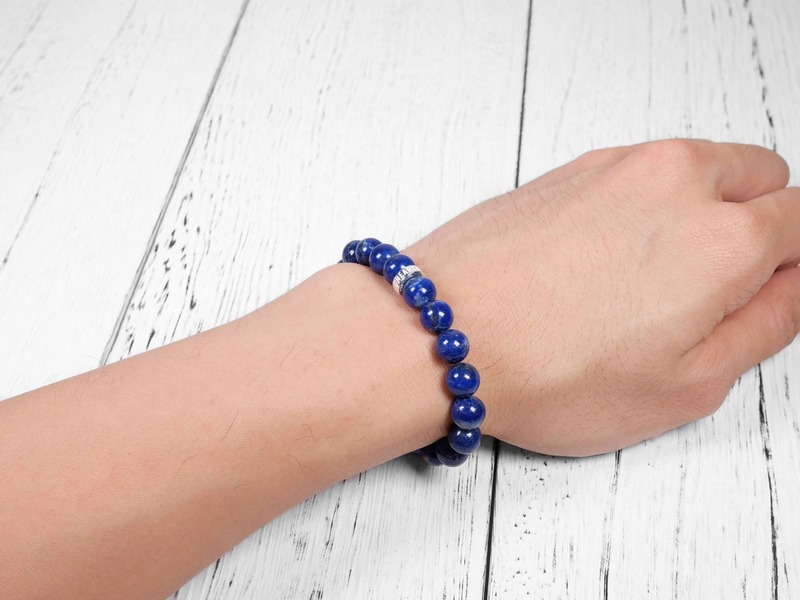 With the sterling silver bead, this vivid blue bracelet is a great addition to your collection. 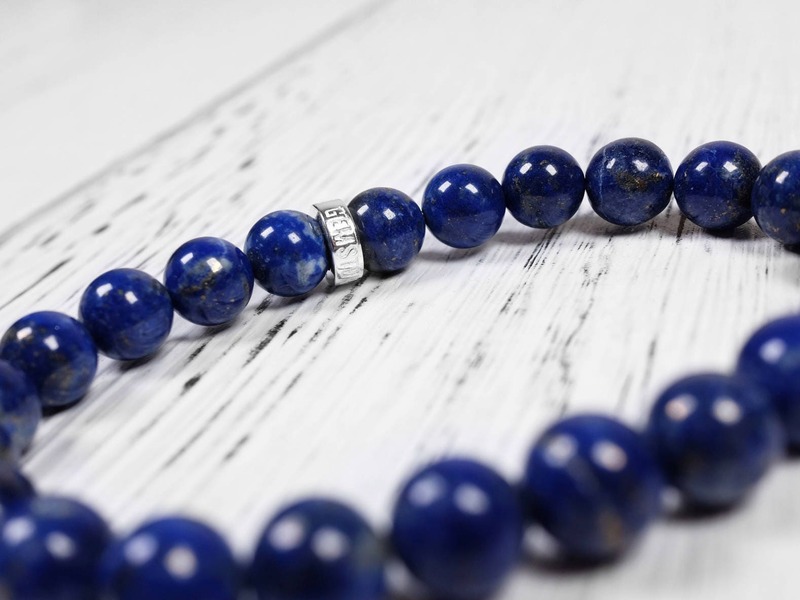 Lapis lazuli is a royal blue color rock that is popular throughout history. 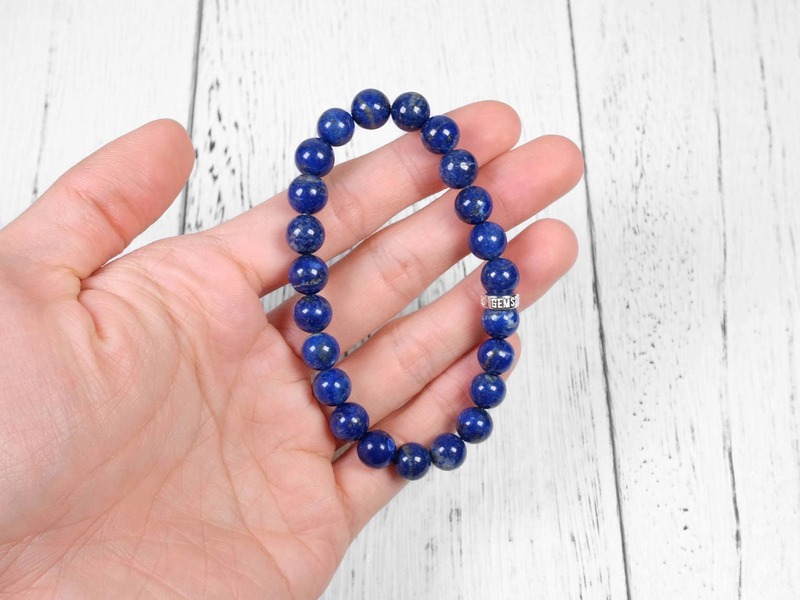 It actually is a mix of minerals including lazurite, calcite, pyrite and more. 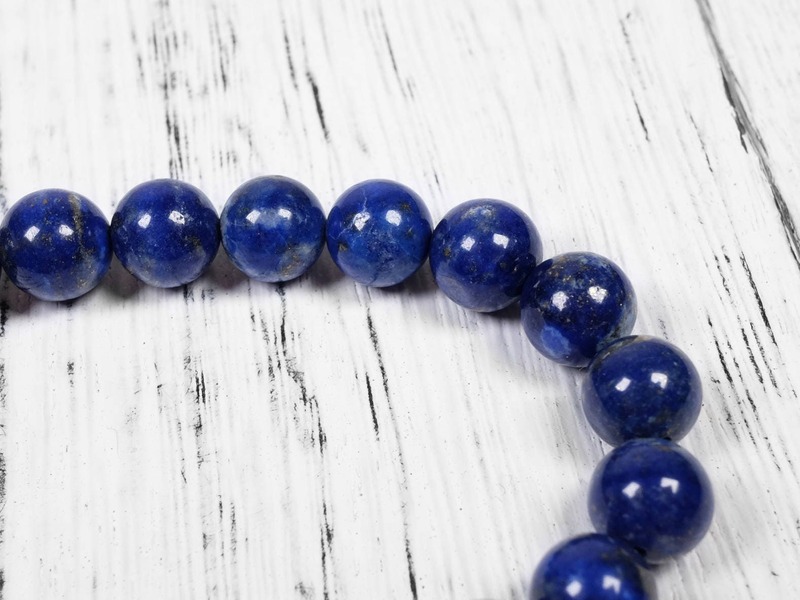 The most desirable lapis is the ones with royal blue color with minimal white calcite veins. 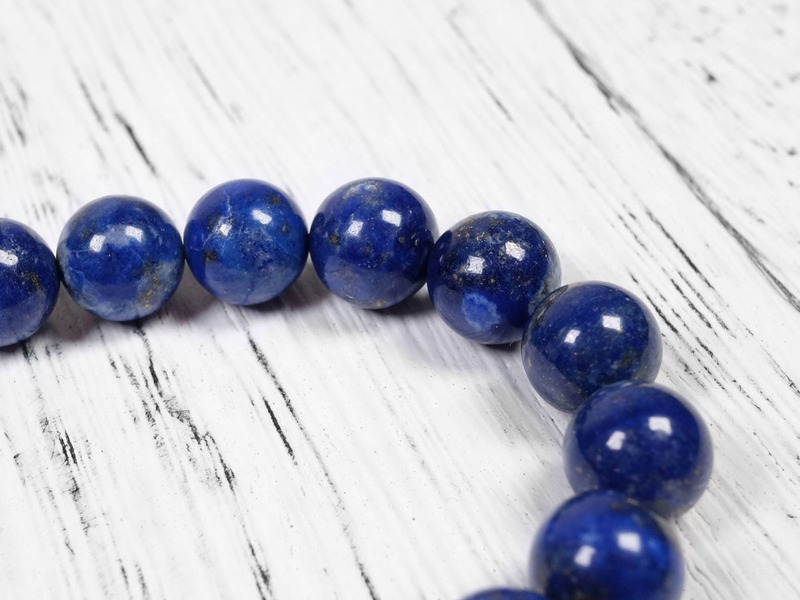 Lapis is popular for carving, jewelry and even color pigment in its powdered form. Rich blue colors! 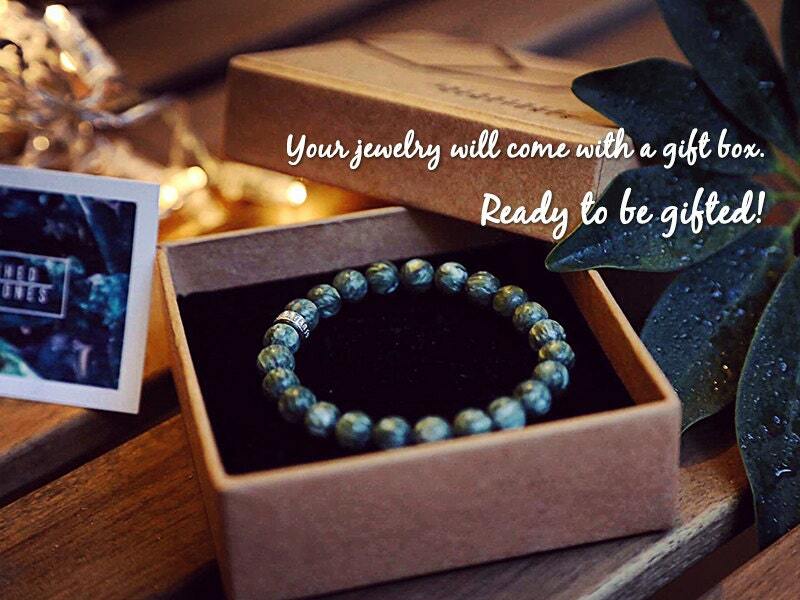 Arrived in very good condition with my other bracelets in gift boxes. Love 💖 the bracelet. N amazing service by seller,Andy. 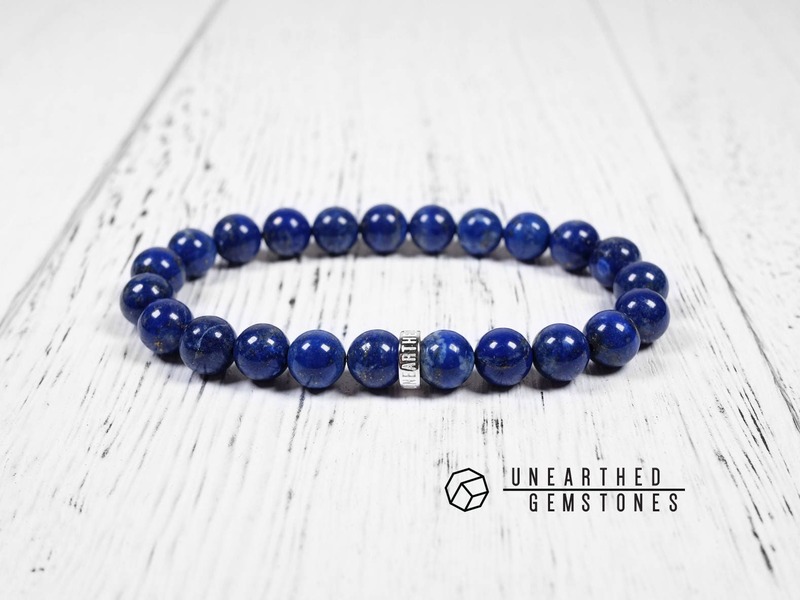 beautiful quality, I am very happy with the fit as well, matches my necklace perfectly.